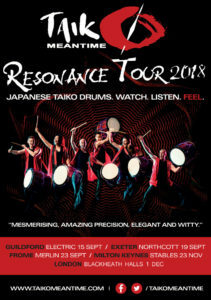 Taiko Meantime, the performance wing of Rhythmworks are on tour with their theatrical show, ‘Resonance’ this Autumn 2018. Catch them at a theatre near you and discover how great teamwork creates a knockout performance. 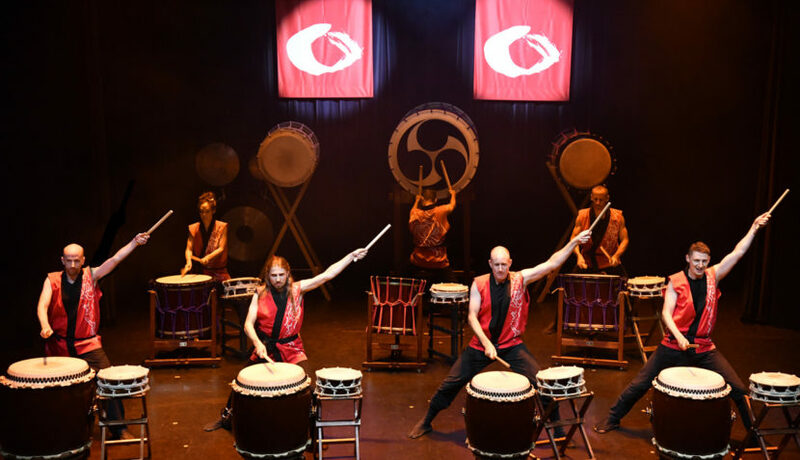 With formidable skills of commitment, support, awareness, trust, Taiko Meantime produce a stunning spectacle, with lots of fun along the way.